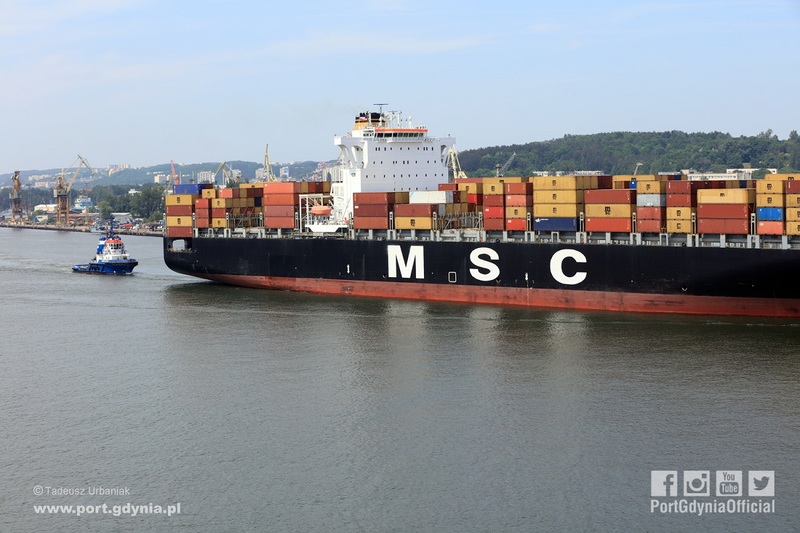 The Mediterranean Shipping Company (MSC) has launched two new oceanic services to replace the current MSC service connecting the Port of Gdynia to the transhipment ports of Western Europe. The arrival of MV MSC Paris (length 334.07 metres and beam 42.8 metres) at the BCT container terminal in the Port of Gdynia on 25 April inaugurated the visits by two ocean service vessels every week. 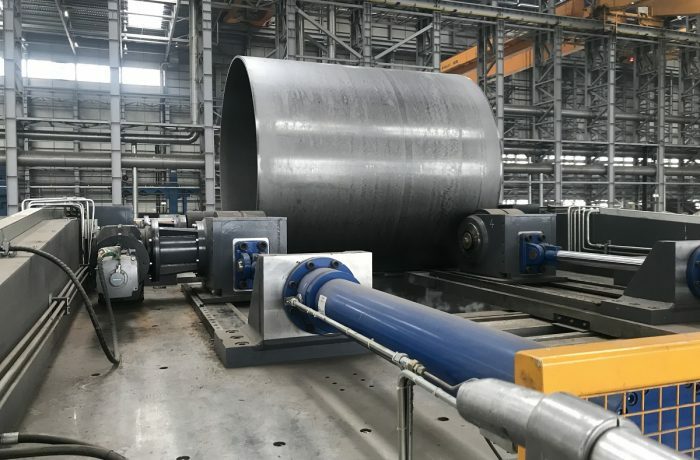 They will be used for transport, connecting several ports in Western Europe (Antwerp, Le Havre, Bremerhaven, and Rotterdam) with the Port of Gdynia. The first ships used on these new ocean links will arrive at the Port of Gdynia on 30 April. The MSC Carolina, operating on the Australia Express service, will moor at the Hel Quay, and then on 1 May the MSC India of the East Africa and Indian Ocean Express service will call at the port for the first time. – This decision by MSC is very good news, confirming the legitimacy and usefulness of reconstructing Turning Basin No. 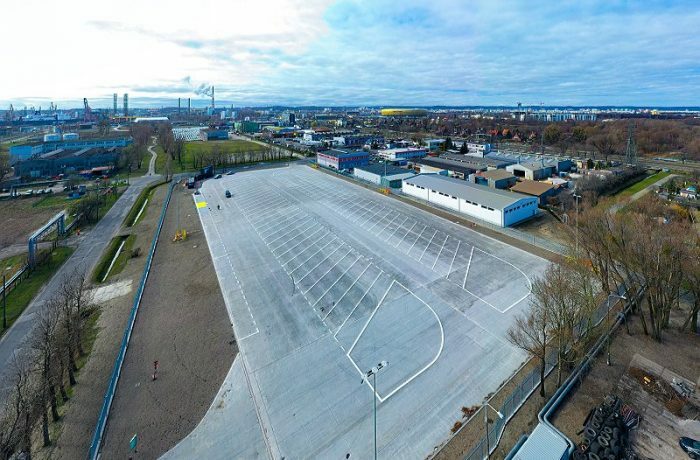 2 at the Port of Gdynia, deepening the port basins to 15.5 metres and constructing the Outer Port in the near future. 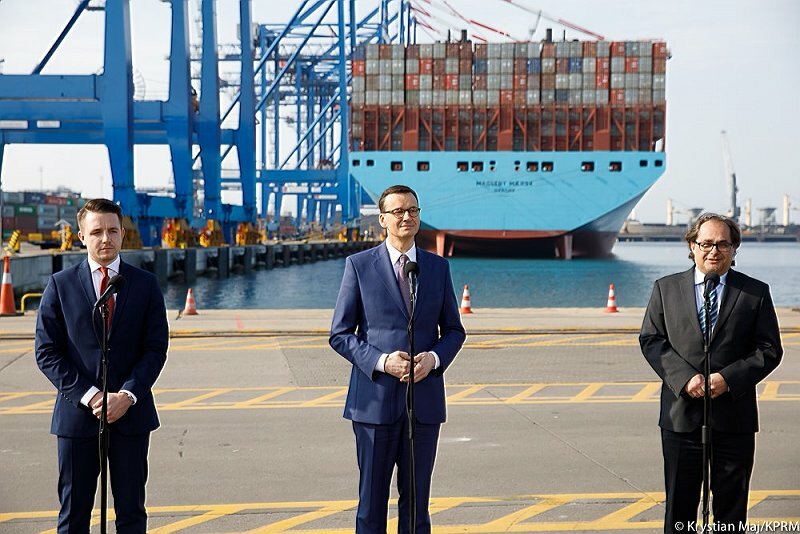 We can see that the investments in the Port of Gdynia are a good response to actual market demand – commented Adam Meller, President of Port of Gdynia Authority SA. – The Baltic Sea market is still developing intensively, with container handling slowly increasing. We have great faith in the implementation of our plans – he added.